Provitrade specialises in the design, manufacture and delivery of cargo-carrying units (CCUs) and cutting skips for the offshore industry. In addition to handling export documentation for its goods, the company also assists clients in custom-designed equipment, according to their requirements. Provitrade supplies all kinds of CCUs that are certified according to DNV 2.7-1 and EN 12079, as required within the offshore industry. Provitrade became involved in the design of a cutting skip, as the product in use needed some improvements. As a result, it successfully created a cutting skip with an improved design at a competitive price. Provitrade currently delivers the majority of cuttings skips used in the oil industry in Angola. 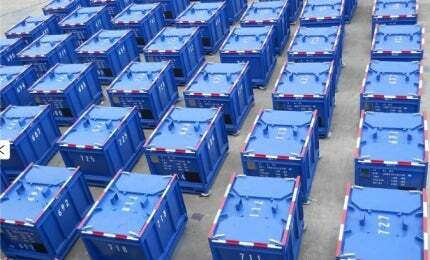 As a result of its work on the skip design, the company also delivers a wide variety of cargo-carrying units. Provitrade delivers DNV-approved containers and designs containers are mostly custom-made according to the specific requirements of the client. The company trades and locates what the client needs, as well as designs any required elements in order to get their goods approved and ready for shipment. Provitrade offers a variety of equipment and components for offshore applications such as safety and ATEX-approved equipment, tools, pumps and fittings. The company also supplies protective gloves, masks and helmets, as well as undertakes special requests in IT solutions. Spare parts for tools and pumps are also available from Provitrade. Provitrade is a Danish company that started under the name ‘Provitec’ in 2006. In the beginning, the firm supplied personnel for the offshore industry in Angola but soon trading became a big part of its range of services. As a result, it became necessary to split the company and Provitrade was founded.